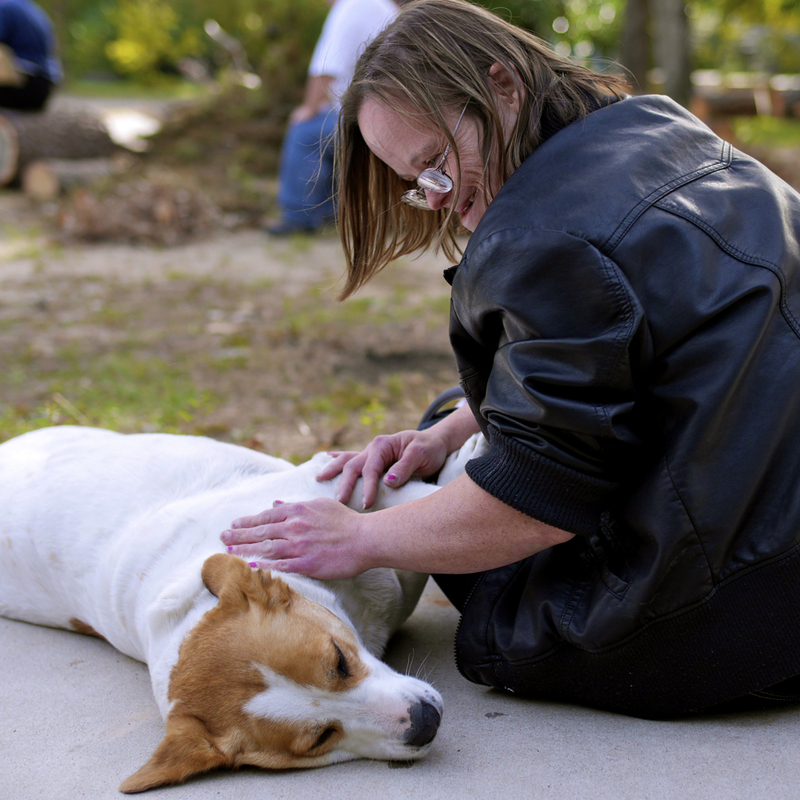 We are the premier provider of programs and services for individuals with intellectual and developmental disabilities. In partnership with families and the community, we provide training and life experiences that build self-esteem and promote personal independence, allowing our clients to reach their highest potential. We teach daily living skills including money management, housekeeping, proper nutrition, reading, and writing. In most cases, we're working to reinforce or maintain these skills, but our instructors are trained to adapt the curriculum to the needs of the individual. We provide opportunities that foster friendship among peers and connect our clients with the community at large. The layout of our facilities invites interaction and exchange between classes, and our field trips—offered year-round—allow our clients to expand their horizons beyond Bridgewood. We compete in local, regional and national Special Olympics events, and we do so in a manner that builds relationships and fosters self-esteem. Our clients’ relationships with their families is a vital component of their overall well-being. Sometimes, it's necessary to spend time apart in order to let these relationships evolve and in order to develop a sense of independence. Our respite care provides this opportunity. Cultivating a garden requires great care and patience. Our horticulture program begins with the simple planting of seeds in a flower garden to the careful and measured development of an entire greenhouse full of plants. Our clients benefit from the opportunity to connect with nature, and they create something that the entire Bridgewood Community can share. Our ceramics program is an excellent way for our clients to build and maintain motor skills. We create beautiful, hand-crafted products that are available for sale to the public. The goal of this program is to develop the client’s capacity to carry out step-by-step instructions. Some of the projects undertaken in this class are available for sale in our onsite, such as golf cart mats, ornaments, plants. 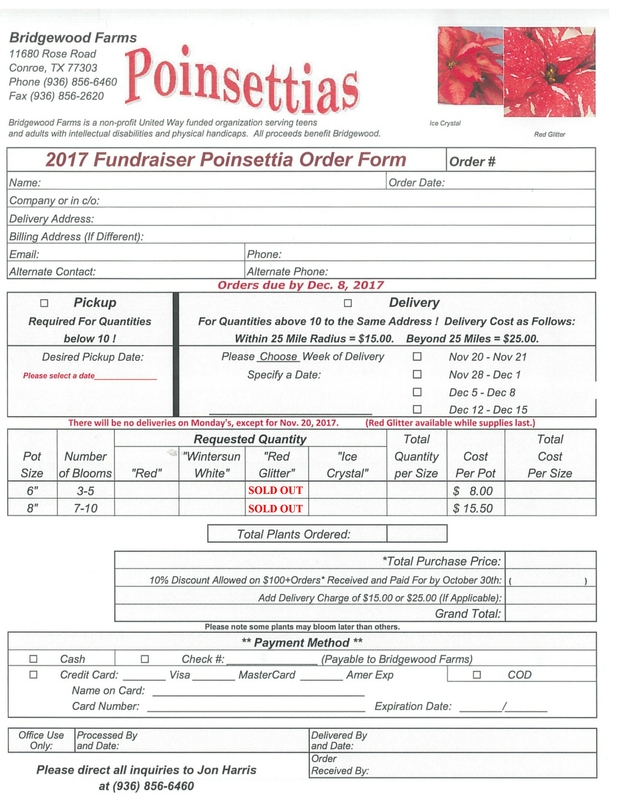 If you would like to order poinsettias, download the order form here. Physical activity is important to one's overall well-being. Now—with the completion of our new gymnasium—we’re excited to be able to offer physical fitness instruction, rain or shine!